Jane Guilford was born circa 1509. She was the daughter of Sir Edward Guilford and Eleanor West.2,1 She married John Dudley, 1st Duke of Northumberland, son of Edmund Dudley and Elizabeth Grey, 6th Baroness Lisle.2 She died on 15 January 1555. He gained the title of Earl of Warwick. 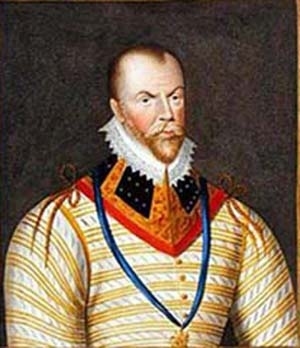 Ambrose Dudley, 1st Earl of Warwick was born circa 1528. He was the son of John Dudley, 1st Duke of Northumberland and Jane Guilford. He married, thirdly, Lady Anne Russell, daughter of Francis Russell, 2nd Earl of Bedford and Margaret St. John, on 11 November 1565.1 He died in 1590. [S22] Sir Bernard Burke, C.B. LL.D., A Genealogical History of the Dormant, Abeyant, Forfeited, and Extinct Peerages of the British Empire, new edition (1883; reprint, Baltimore, Maryland: Genealogical Publishing Company, 1978), page 181. Hereinafter cited as Burkes Extinct Peerage. 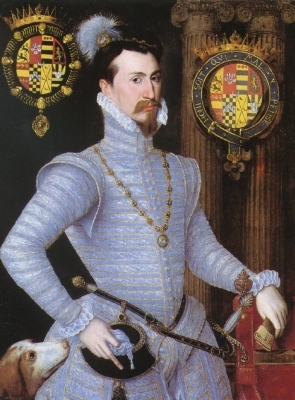 Robert Dudley, 1st Earl of Leicester was born on 24 June 1532. He was the son of John Dudley, 1st Duke of Northumberland and Jane Guilford.1 He married, firstly, Amy Robsart, daughter of Sir John Robsart, in 1550. He married, secondly, Hon. Douglas Howard, daughter of William Howard, 1st Baron Howard of Effingham and Margaret Gamage, in 1573.4 He married, thirdly, Lettice Knollys, daughter of Sir Francis Knollys and Katherine Carey, on 21 September 1578.5 He died on 4 September 1588 at age 56 at Cornbury, Oxfordshire, EnglandG. He gained the title of 1st Earl of Leicester in 1564. Jane Dudley was the daughter of John Dudley, 1st Duke of Northumberland and Jane Guilford. 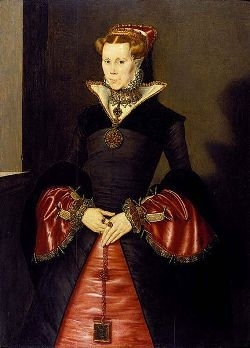 Lady Mary Dudley was born in 1531. She was the daughter of John Dudley, 1st Duke of Northumberland and Jane Guilford.1 She married Sir Henry Sydney, son of Sir William Sydney and Anne Pakenham.1 She died in 1586. Lady Catherine Dudley was born in November 1544. 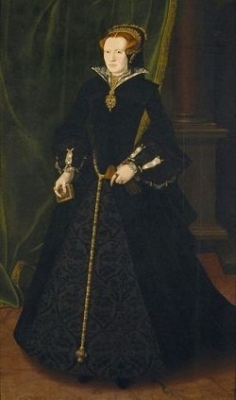 She was the daughter of John Dudley, 1st Duke of Northumberland and Jane Guilford.1 She married Henry Hastings, 3rd Earl of Huntingdon, son of Francis Hastings, 2nd Earl of Huntingdon and Catherine Pole, on 25 May 1553.3 She died on 4 August 1620 at age 75. Her married name became Hastings. After her marriage, Lady Catherine Dudley was styled as Countess of Huntingdon on 22 June 1560. [S6] G.E. Cokayne; with Vicary Gibbs, H.A. Doubleday, Geoffrey H. White, Duncan Warrand and Lord Howard de Walden, editors, The Complete Peerage of England, Scotland, Ireland, Great Britain and the United Kingdom, Extant, Extinct or Dormant, new ed., 13 volumes in 14 (1910-1959; reprint in 6 volumes, Gloucester, U.K.: Alan Sutton Publishing, 2000), volume I, page 418. Hereinafter cited as The Complete Peerage.